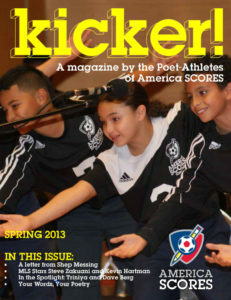 The official by-kids, for-kids magazine of America SCORES, featuring student poetry, program stories, guest interviews, games and more! 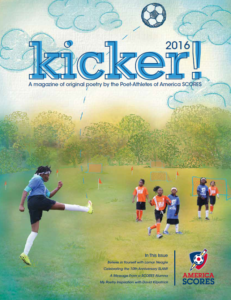 Each year, America SCORES publishes the work of our poet-athletes across the country in Kicker! magazine. 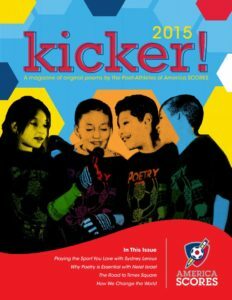 We spotlight work by outstanding teams, volunteers, and staff, invite friends of the program to contribute, and update the SCORES community about our work over the past year. 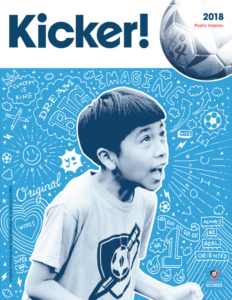 America SCORES is proud to release the newest issue of Kicker! magazine featuring a brand new design! 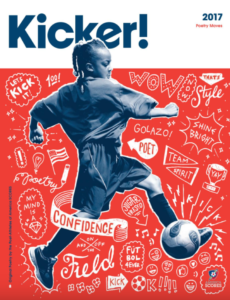 Celebrating the original poetry of SCORES poet-athletes from 12 program sites in the U.S. and Canada, this year’s issue reflects a selection from over 13,000 public school students who have written over 45,000 original poems in the past school year. 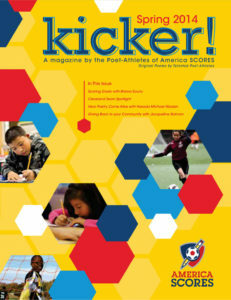 This year's edition features a welcome from our friend, D.C. United Coach Ben Olsen, an interview with spoken word artist and SCORES Champion Black Chakra, a feature with New England Revolution midfielder Scott Caldwell, and spotlights on the students, coaches, and teams that make America SCORES one of the best after-school programs in the country.